My dear son came home from school the other day with two very nice and well-made wooden stools he had created. 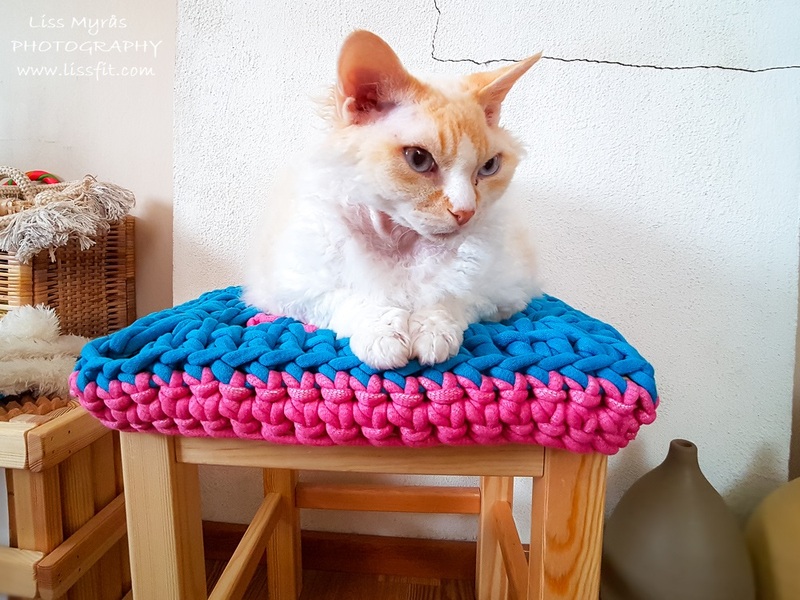 I just adore the smell of wood and like the stools as they are, but could of course not resist to try crochet a stool cover with some of the chunky recycled yarn I bought on sale online. 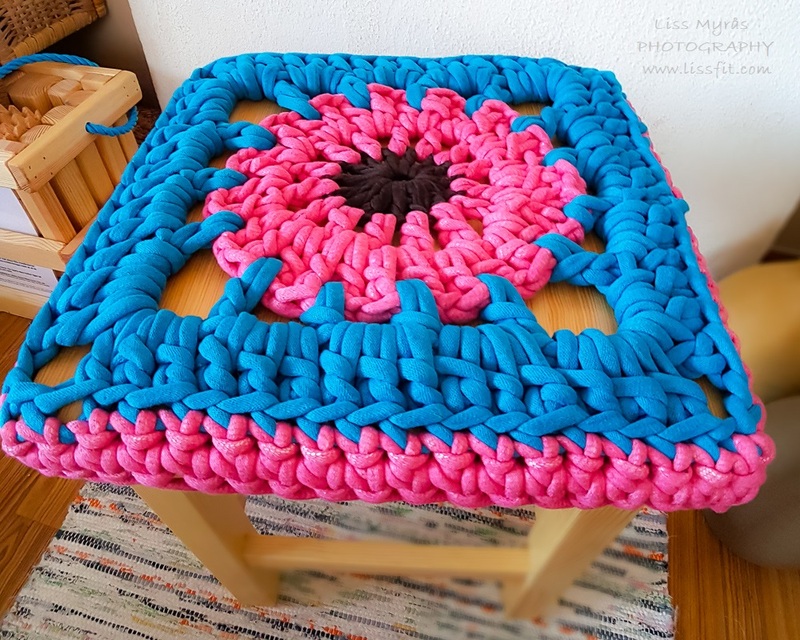 Dream team handmade work – my sons wooden stool and my crochet stool cover ala granny square – what do you think? 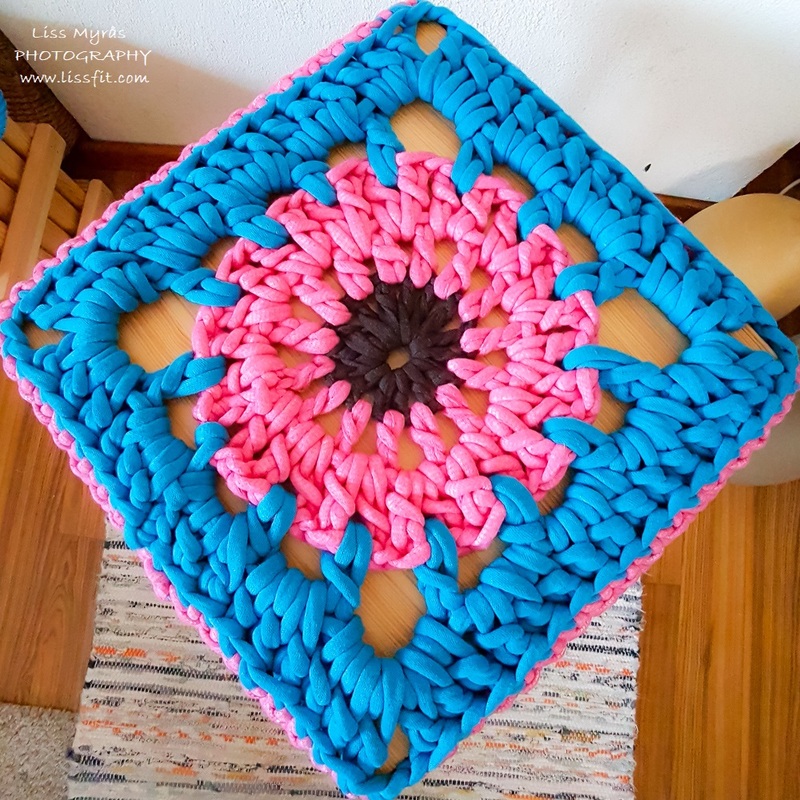 The yarn I used is called Luxus Macaroni and have a thick, “rounded” and stretchy quality made of surplus fabrics from the fashion industry and covered with tube yarn.. a pleasure to work with using a 12mm crochet hook. Due to the yarn/hook size it only took a couple of hours/afternoon to crochet the giant granny square. I added an extra edge downwards to go around the seating edge, and used a big wool needle to simply sew an elastic band inside the edge just to keep the cover in place. Quick and easy even if it is my first time for everything in this.